Karen Angotti founded Rainbow Riders with her husband Joe in 2005. With her background in Early-Childhood Special Education, a piece of land in Monmouth, and a retirement around the corner, the idea of an Equine Therapy Center in town was born. 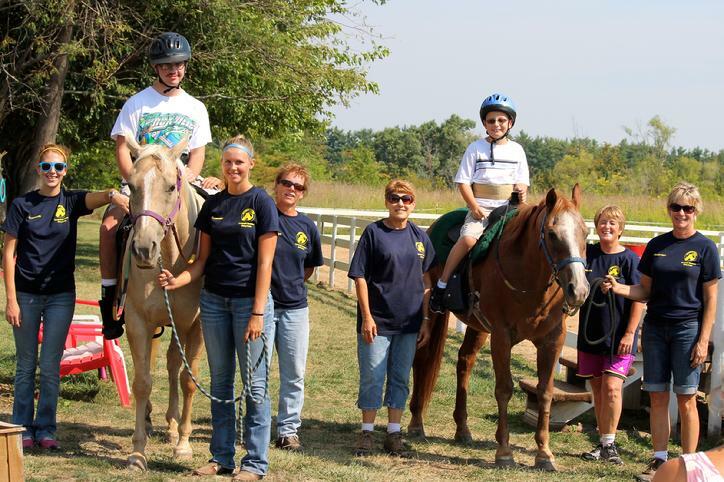 At first, the therapeutic center had only one rider with one horse. In 2010, they were up to six horses and sixty-eight riders. Currently in 2015, Rainbow Riders has been turning down riders who are interested because the center is running out of room. 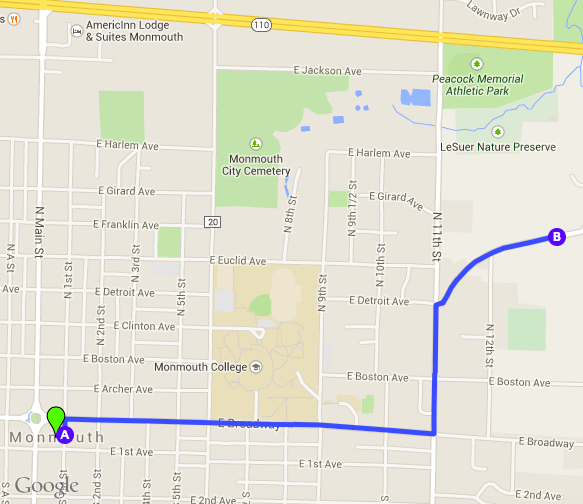 The center has been very successful and continues to grow. Many local volunteers come out to help support Rainbow Riders and the families involved. The staff and the volunteers are both passionate, friendly and thoroughly enjoy what they do. 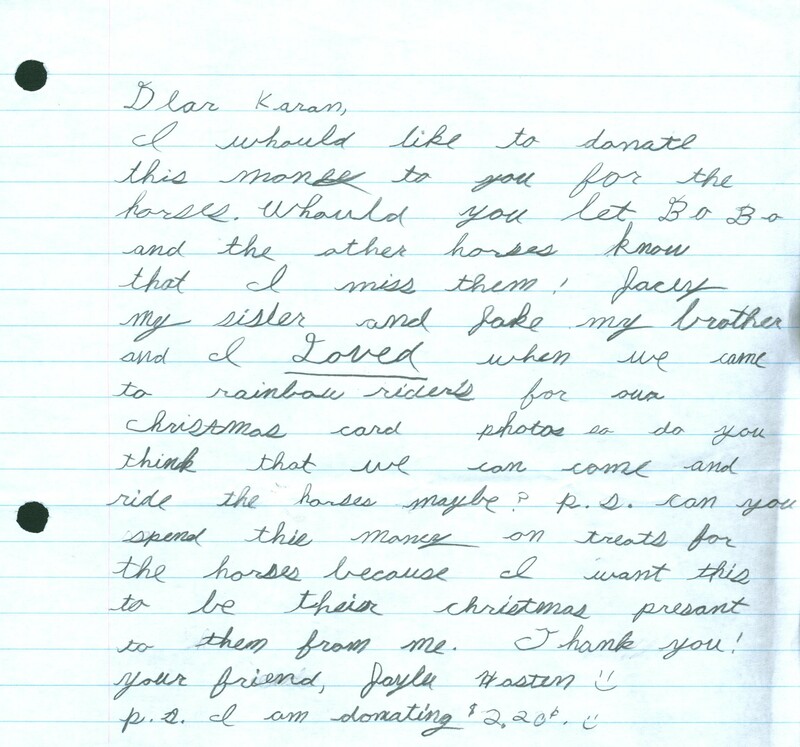 This letter was written and sent to Karen Angotti thanking her and others for helping this child. The child wants to donate $2.20 to the center and requests that they spend it on a treat for the horses. 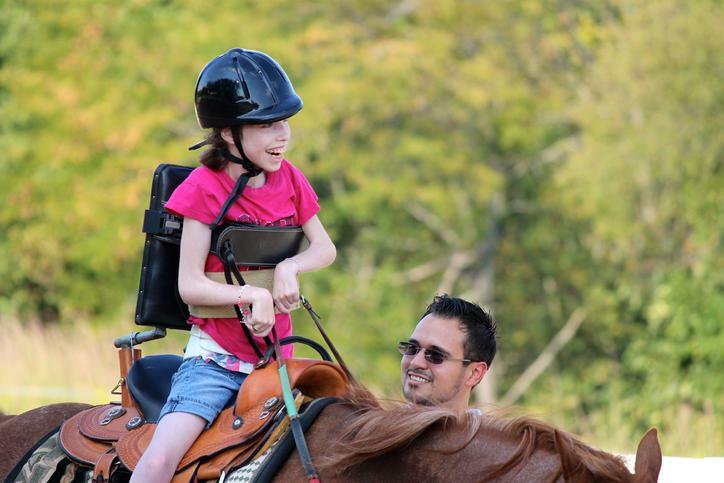 This photo shows one of the riders engaging in a therapeutic activity while on horseback. 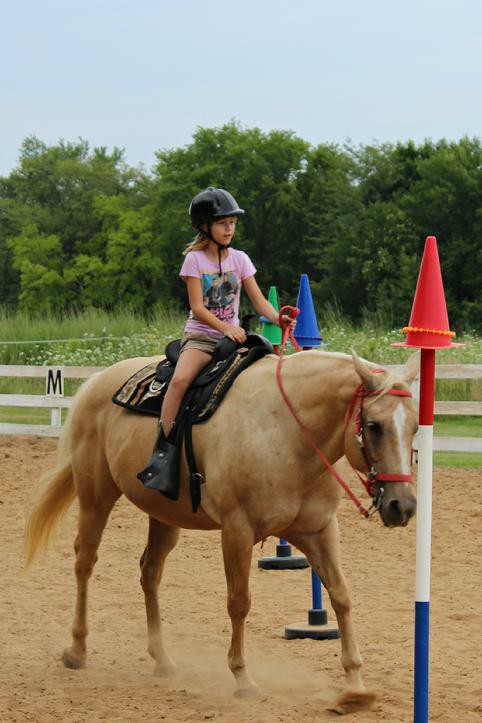 The center has many activities for the children to do that have therapeutic benefits that involve the horses. Multiple activities are offered while on horseback, including guiding the horse themselves through different courses. 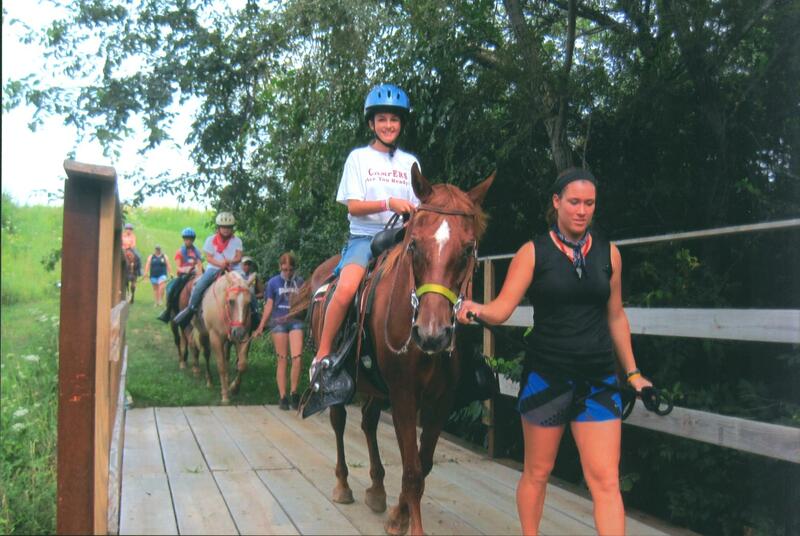 Some staff members guiding the horses and riders through a trail located at Rainbow Riders. Karen with her husband and co-founder of Rainbow Riders, Joe Angotti. This is an interview of Melinda Fry, who works in the Rainbow Riders office, describing Karen Angotti.